← Flash Crashes Are a Permanent Part of U.S. Markets: Should You Worry? 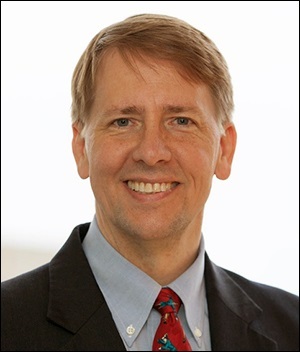 Yesterday, Richard Cordray, the Director of the Consumer Financial Protection Bureau (CFPB) that was created in 2010 under the Dodd-Frank financial reform legislation, did what few Americans thought he would dare to do: he stood up to threats of being fired; threats of backlash from Wall Street titans; threats of having his agency’s budget gutted; and Congressional threats of being put on a leash by a commission appointed by the President. Despite all of these threats and more, Cordray issued the final rule that allows consumers who have been defrauded in financial transactions involving credit cards and bank accounts to have access to file a group action (known legally as a “class action”) using the nation’s courts. Unfortunately, the CFPB has no power over Wall Street brokerage firms. That’s the realm of the Securities and Exchange Commission (SEC) which has typically been led by lawyers from the very same Big Law firms that created Wall Street’s private justice system and enshrined it with iron clad clauses embedded in the copious text of Wall Street’s employment contracts and investment account agreements. The big Wall Street firms that also own major retail banks like Citigroup’s Citibank, JPMorgan’s Chase Bank, and Bank of America will have to comply with the new rule for their credit cards and bank accounts but their tens of millions of brokerage accounts that restrict customers from using the nation’s courts and mandate instead mandatory arbitration remain unaffected. Still, this is a huge win for consumers. And to shine a bright light on how this insidious system evolved over the decades, the CFPB released a 775-page historical review which is must reading for anyone who seriously cares about the devolution of citizen rights in America. Cordray released the following remarks yesterday in announcing the final rule. Thank you for joining us on this call. Today, we are announcing a final rule that prevents financial companies from using mandatory arbitration clauses to deny groups of consumers their day in court. A cherished tenet of our justice system is that no one, no matter how big or how powerful, should escape accountability if they break the law. But right now, many contracts for consumer financial products like bank accounts and credit cards come with a mandatory arbitration clause that makes it virtually impossible for people to sue the company as a group if things go wrong. On paper, these clauses simply say that either party can opt to have disputes resolved by private individuals known as arbitrators rather than by the court system. In practice, companies use these clauses to bar groups of consumers from joining together to seek justice by vindicating their legal rights. Group lawsuits, also known as “class action” lawsuits, have long been recognized as a means to secure relief under federal and state law. A small number of consumers can take a company to court to seek justice on behalf of all who were harmed by the company’s practices. By blocking group lawsuits, mandatory arbitration clauses force consumers either to give up or to go it alone – usually over relatively small amounts that may not be worth pursuing on one’s own. Including these clauses in contracts allows companies to sidestep the judicial system, avoid big refunds, and continue to pursue profitable practices that may violate the law and harm large numbers of consumers. The breadth and application of these clauses can be unexpected and severe. For example, when Wells Fargo opened millions of deposit and credit card accounts without the knowledge or consent of consumers, arbitration clauses in existing account contracts blocked their customers from bringing group lawsuits for the unauthorized account openings. Companies have argued that group lawsuits are unnecessary because the government can pursue enforcement actions to address the same problems. But consumers should be able to stand up for themselves and pursue their own legal rights without having to wait on the government. And the government has limited resources and authority to respond to every problem that arises in these financial markets. Originally, arbitration was primarily used for disagreements between two businesses. But over the last quarter century or so, companies started adding arbitration clauses to their consumer contracts, specifically to block group lawsuits and avoid legal accountability. In the last decade, Congress has addressed mandatory arbitration in a few key areas. In 2007, Congress passed the Military Lending Act, which disallows mandatory arbitration clauses in connection with certain loans made to servicemembers. Three years later, in the Dodd-Frank Wall Street Reform and Consumer Protection Act, Congress went further and banned mandatory arbitration clauses in most residential mortgage contracts. The Dodd-Frank Act also required the Bureau to study the use of mandatory arbitration for other consumer financial products and services. Congress further authorized the Bureau to issue regulations to limit or prohibit the use of pre-dispute arbitration clauses for consumer financial products or services if such a rule is in the public interest, for the protection of consumers, and if the findings of such a rule are consistent with findings from our study. We conducted the most comprehensive study of mandatory arbitration clauses ever undertaken. We found that these clauses now exist in hundreds of millions of consumer finance contracts affecting tens of millions of consumers. For example, credit card issuers representing over half of all credit card debt have arbitration clauses in their contracts with consumers. Yet few consumers are aware of these clauses and even fewer know how they work. Three out of four consumers we surveyed did not even know whether their credit card agreement contained an arbitration clause. Our research showed that these little-known clauses are bad for consumers. They may not be aware that they have been deceived or discriminated against or even when their contractual rights have been violated. Moreover, very few people have the time or the money to fight on their own over a small amount of money, which is commonly the stakes in consumer financial matters, even though they can involve the same harm to millions of consumers. In most situations, hiring a lawyer to handle the consumer’s own individual case is not practicable. For example, when faced with the daunting prospect of expending all that effort to recoup a $35 fee or even a $100 overcharge, it is no surprise that few people bother to try. When we surveyed consumers with credit cards, only about 2 percent of them said they would consult an attorney or consider formal legal action to resolve a small-dollar dispute. By forcing people to go it alone, companies are less likely to face legal action from anyone who was wronged. As a result, consumers are hurt in two ways. First, as compared to group lawsuits, individual arbitration means consumers are less likely to get relief for the harms they have suffered. According to the Bureau’s study, group lawsuits succeed in bringing hundreds of millions of dollars in relief to millions of consumers each year, and at least 34 million members of group lawsuits received payments over the five-year study period. Those payments totaled $1 billion in cash direct to consumers, net of attorney’s fees and expenses. Conversely, over the two years that we studied final results, in about one thousand arbitration cases, the arbitrators awarded a combined total of about $360,000 in relief to a total of 78 consumers. Therefore, by blocking group lawsuits, companies are able to avoid paying out significant amounts of money in private litigation when they wrong consumers. Second, consumers are likely to continue facing ongoing harm that does not get corrected. Even if some consumers were to bring individual arbitration actions and recoup their own losses, that does not stop the same practices from happening again to them or to others. Resolving group lawsuits often requires companies not only to pay back everyone who was harmed, but also to change their conduct moving forward. This saves countless consumers the pain and expense of experiencing the same harms. The Bureau’s study found that in 53 group settlements covering over 106 million consumers, companies agreed to change their business practices or implement new compliance programs. Without group lawsuits, private citizens have much less power, on their own, to stop companies from pursuing profitable practices that may violate the law. Today’s rule prohibits banks and other consumer financial companies from including mandatory arbitration clauses that block group lawsuits in any new contracts after the compliance date. The rule does not bar arbitration clauses outright. For these new contracts, however, these clauses have to say explicitly that they cannot be used to stop consumers from banding together to pursue relief as a group. The rule includes the specific language that financial companies must use. By restoring the ability of consumers to file or join group lawsuits, the rule gives companies more incentive to comply with the law. And the deterrent effect of such cases can more broadly influence the business practices of other companies as well. Our new rule also requires companies to submit their claims, awards, and other information about the arbitration of individual disputes to the Bureau. This will help us better monitor arbitrations to make sure the process is fair for individual consumers. The companies are required to scrub these materials of personal information, and starting in July 2019, we will also post them on our website. This will promote transparency and give consumers, providers, and other regulators more insight into how arbitration works. Our common-sense rule applies to the major markets for consumer financial products and services under the Bureau’s jurisdiction, including those in which providers lend money, store money, and move or exchange money. To get it right, our process has been thoughtful and thorough. Before launching our study, we issued a Request for Information to obtain stakeholder input about the scope of the study and the available data. In November 2013, we issued the preliminary results of our study and described the scope of the remaining work. The study itself was published in March 2015. For over two years since, we have worked to determine whether new rules were appropriate based on the study results and the Bureau’s experience and expertise. We consulted with small providers that might be affected. Last May, the Bureau issued a request for public comment, and last August, we held a Tribal consultation. We ultimately considered more than 110,000 responses from consumers, consumer groups, industry, and other interested parties before finalizing the rulemaking. The text of the rule is direct and concise at only 12 double-spaced pages, with some further explanatory commentary. I am, of course, aware of those parties who have indicated they will seek to have the Congress nullify this new rule. That is a process that I expect will be considered and determined on the merits. My obligation as the Director of the Consumer Bureau is to act for the protection of consumers and in the public interest. In deciding to issue this rule, that is what I believe I have done. Over the past 50 years, Congress made the decision in many consumer financial statutes to allow individuals to sue to seek relief when they are harmed by violations of the law. Indeed, Congress frequently adopted special provisions to allow for class actions. Congress has acted selectively and carefully, sometimes authorizing such lawsuits so that individuals will not be dependent on the government to protect their rights, and sometimes disallowing them. But in recent years, private companies have been able to override Congress’s decisions and sidestep accountability under the law, and millions of consumers have found the courtroom doors locked through mandatory arbitration clauses. This rule throws open those doors and allows harmed consumers to band together and seek justice for themselves and all others affected in the same way where Congress has authorized such lawsuits. Based on the study Congress authorized the Bureau to perform, that is the right answer to protect consumers and serve the public interest. Thank you.